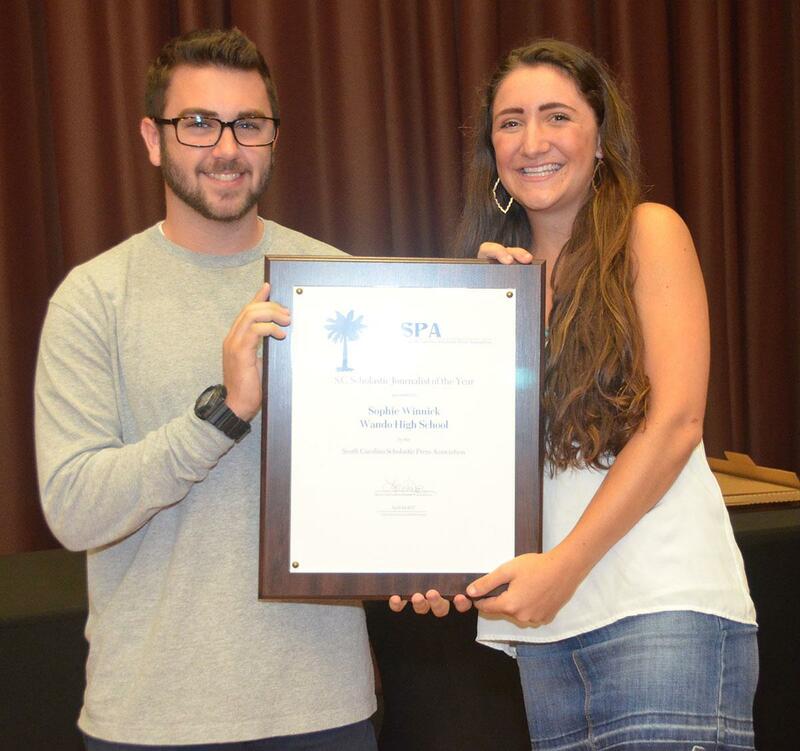 SCSPA honored outstanding students, advisers and friends of scholastic journalism at its spring conference Monday, April 24 at the University of South Carolina Russell House. After acknowledging broadcast, newspaper and online journalists with individual and program awards, SCSPA recognized four individuals who earned the organization’s highest accolades. Sophie Winnick of Wando HS (Mount Pleasant) was named the Scholastic Journalist of the Year, awarded annually to the best high school journalist in the state. Winnick, the editor-in-chief of Wando’s Legend yearbook, plans to double major in international business and sports management at USC. 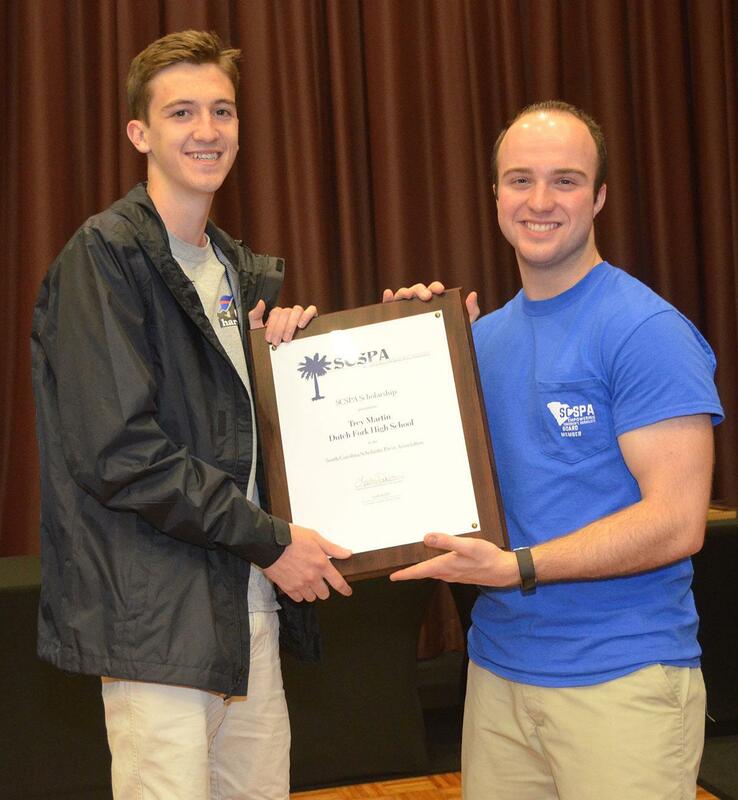 Trey Martin of Dutch Fork HS (Irmo) was awarded the $1,000 SCSPA Scholarship, given to an outstanding scholastic journalist who’s been admitted to the USC’s School of Journalism and Mass Communications. Martin will begin his journalism degree at USC in Fall 2017. 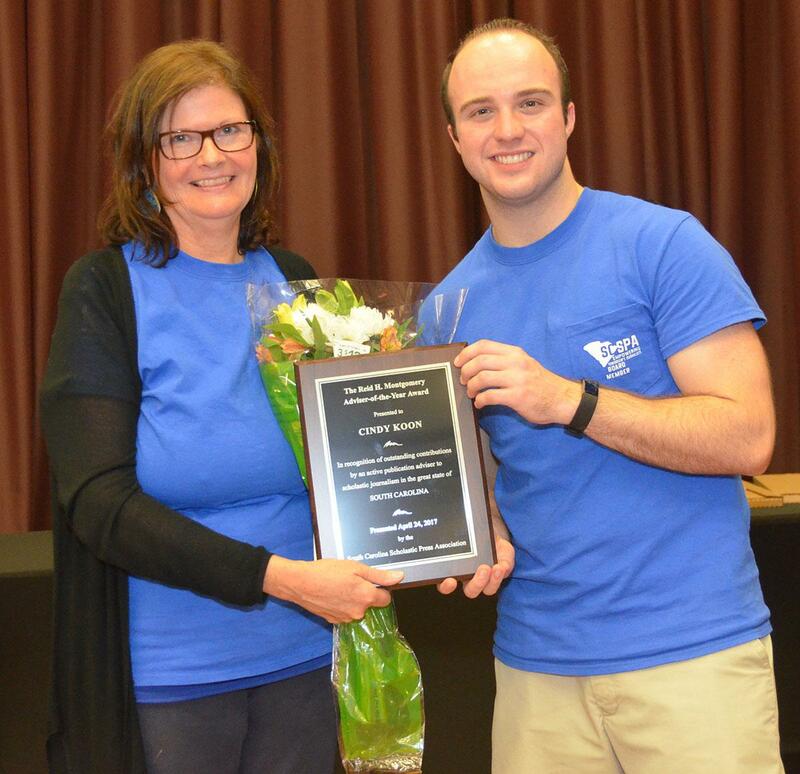 Cindy Koon of South Pointe HS (Rock Hill) was named the Reid H. Montgomery Adviser of the Year. The award, established in memory of the former SCSPA director and USC journalism professor, is presented yearly to an adviser who exemplifies a high standard of excellence in service to scholastic journalism. Koon has taught English and journalism at South Pointe HS since 2005. She also advises the school’s award-winning SPIN newspaper and SPIN Wired. 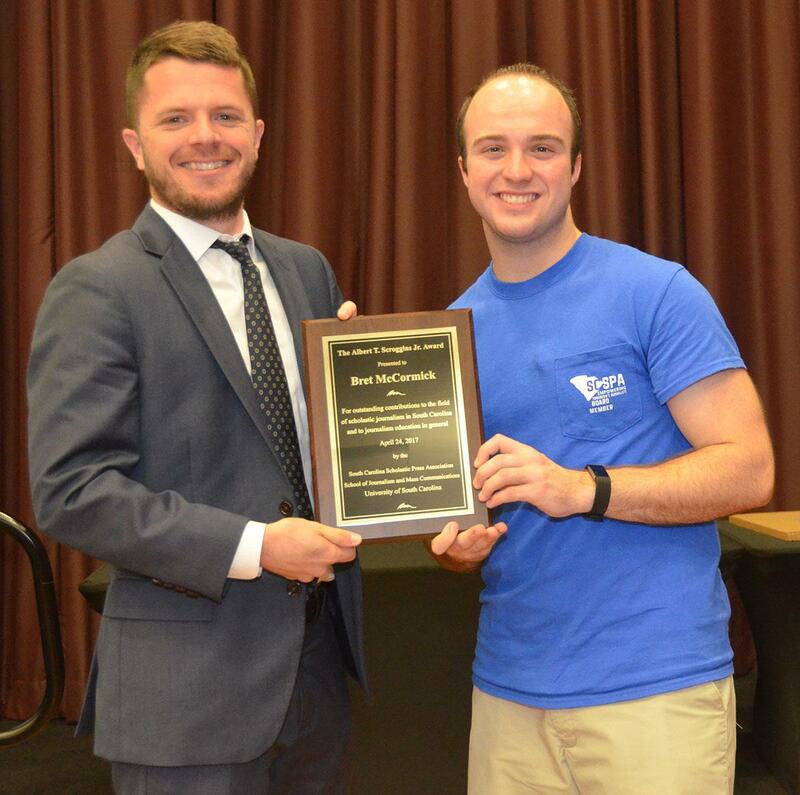 Koon was one of five outstanding teachers nominated for the 2017 Reid H. Montgomery Adviser of the Year award. She was joined by Nina Brook of Richland Northeast HS (Columbia), Karin McKemey of Fort Mill HS (Fort Mill), Dana Miley of James Island Charter HS (Charleston) and Beth Swann of Nation Ford HS (Fort Mill). Finally, Bret McCormick of The Herald newspaper (Rock Hill) was honored with the Albert T. Scroggins Award. The award, established more than 30 years ago in honor of the dean emeritus of the USC College of Journalism, is given to an individual who has made outstanding contributions to South Carolina scholastic journalism from outside the classroom. McCormick, the sports editor of The Herald, takes a South Pointe HS student as an intern every semester. He acts as a mentor to aspiring journalists, critiquing their work and introducing them to the world of a local sports journalist. The full spring awards list is posted on the scholastic press website. SCSPA honored four deserving recipients with its highest accolades at the 2017 Spring Conference.